Summer is certainly starting to heat up. The value of tableside ordering and a handheld POS device. 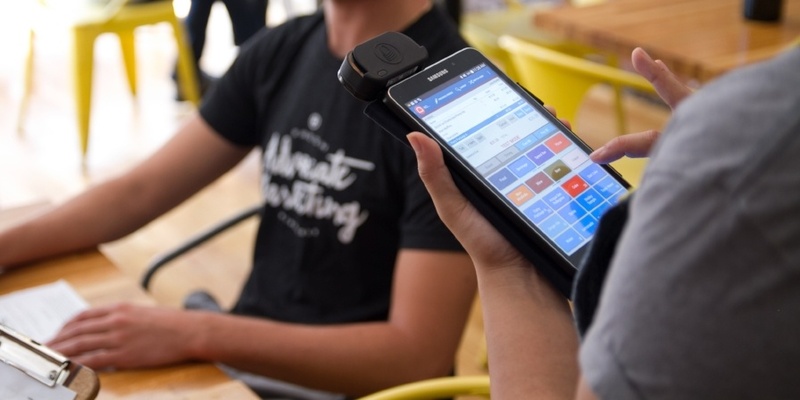 We’ve talked about the overarching value of handhelds in another blog post, but we wanted to lay out some of the cold hard facts we’ve seen on how a handheld POS device has helped restaurants across the globe. Hopefully this information will help you feel more confident in making the investment in restaurant handhelds to take your restaurant to the next level. Did you know that on average a server walks back and forth to the POS 4-5 times for every table? I mean, think about it. Any server will agree - this takes a lot of time! With restaurant handheld POS tablets, we can take that down to zero – servers can have the terminal with them wherever they go, reducing the time a server spends running back and forth across the restaurant. This increases throughput and also allows your servers to focus on building deeper relationships with each table and caring about the customer as opposed to worrying about getting the order in time. Turn down the heat and up the table-turn. We’ve seen that restaurant handhelds can help turn tables 15-20% faster. This means 15% more sales during peak times and helps you get more revenue out of each table, server, kitchen, and restaurant. Why is this? Well, we've already covered the minutes it takes to walk from table to terminal, but think about the bigger implications here. That means food is getting sent to the kitchen 3-5 minutes faster, so customers get their food 3-5 minutes faster. On the back end of the meal, this reduces the number of steps it takes to close the tab. Servers don't have to be signaled for the check, run to the terminal, run back to the table, wait for them to decide payment, come back, run the bill, and bring back the receipt. With a portable POS system, it's just a one-step process. Whether it’s by getting to tables faster and offering pay at the table or getting out from behind the counter and busting lines during busy hours in a QSR, these tablets work. For one restaurant using handhelds, O’Maddy’s, this meant another $1,000,000 in revenue per year. How much could it mean for you? Loyalty never seemed so cool. The third area we’ve been monitoring is loyalty. With restaurant handheld tablets, we’ve seen loyalty sign ups increase 10x compared to traditional methods. We all know building loyalty programs allow restaurants to drive repeat visits, upsells, and customer engagement. Each restaurant will value this differently, but we’ve seen that these programs can increase customers visitation frequency by 35% and drive on average 45% more spend. Done right, tableside ordering and loyalty can be a self-promoting value proposition for your restaurant. If you own a restaurant, you're a businessman or businesswoman. It's that simple. If you came into this industry to avoid using terms like ROI, it's time to rethink things. With deeper customer relationships, increased throughput and table turn by 15-20%, and increasing loyalty by over 10x (which can drive 45% additional spend), we think the value of handhelds pay for themselves. Serving more customers more efficiently and enticing them to come back for more food means more profit for your business. This is the ROI from a restaurant POS system, and it shouldn't be ignored. But to prove this to you, we're willing to give them away for free. Sign up for a demo of Toast today. These are some of the facts we’ve seen. Does this reflect the experiences you’ve seen or heard of? Areas we don’t have metrics on, but know are of value are on the number of orders a server inputs every time the return to the POS which potentially overwhelms the kitchen with a deluge of new orders, and the average number of orders that go wrong due to missing or misinterpreted orders that are written on paper. We’re always open to capturing more information on the value of restaurant handhelds to help us learn and grow!